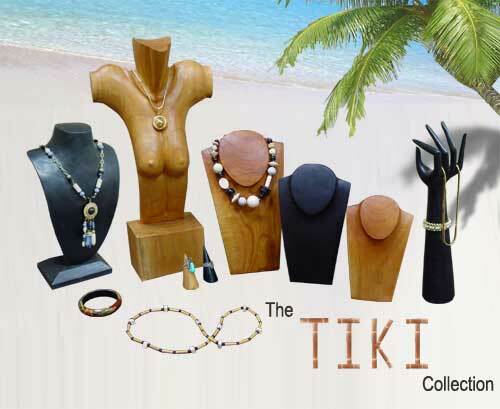 The TIKI Collection Warm Wood Jewelry Displays by Palay Display offers an exotic feel to your jewelry using hand carved wood jewelry displays. Add an earthy feel to your featured necklaces and rings. These hand carved warm wood jewelry displays are sure to improve your jewelry presentation instantly. If you cannot find the exact wood jewelry display you are looking for please contact a Palay Display Representative for assistance. Palay Display is your one stop for store fixtures.